In Anne Arundel County there is a remarkable unincorporated community known as Millersville, Maryland. Millersville boasts a rich history as the first Post Office established in 1841 along the Annapolis & Elkridge Railroad. Named after the Postmaster, George Miller, Millersville today remains a small crossroads community. This charming area is surrounded by proposed and existing industrial and residential developments, yet it retains its tranquil small-town ambiance. Millersville is a wonderful place to buy a home if you are seeking a quiet, laid-back lifestyle with quick and convenient access to the big cities and all of their exciting attractions. Students in Millersville are served by Elvaton Christian Academy, Old Mill High, Rockbridge Academy, Olde Mill Christian Academy, Old Mill Middle North and Old Mill Middle South schools. 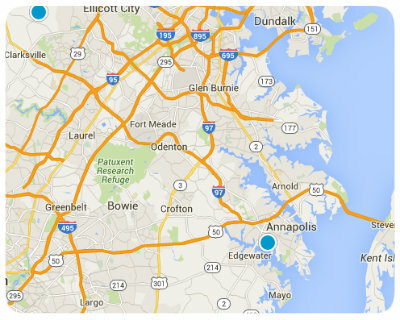 For those desiring to further their education, Anne Arundel Community College is also in close proximity. Homes for sale in Millersville, Maryland, come in a wide variety of architectural styles, ages and sizes. While real estate in Millersville is primarily single family homes, there are also townhomes available, but very few condos or multi-family homes. Single family homes in Millersville come in a very broad price range that tops out around $2.8 million and has an average listing price around $606,100. Townhomes for sale in Millersville top out around $480,000 and have an average listing price around $339,500, while the few condos available in Millersville have an average listing price around $236,300. If you would like more information regarding homes for sale in Millersville, Maryland, please do not hesitate to contact us today.